Our team is here to create your dreamscape. 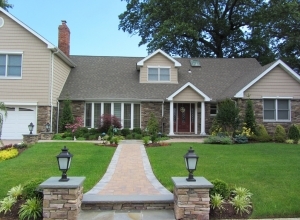 From designing lush gardens and privacy screenings, to creating curb appeal through home improvement, we can help develop your vision—and then, bring the entire design to life. 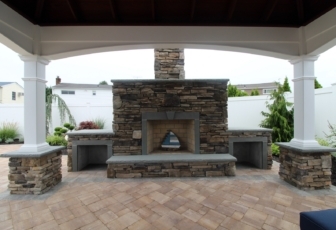 From patios and seating walls, to driveways and entryways, our hardscape design and installations takes your ideas and turns them into a stunning reality. 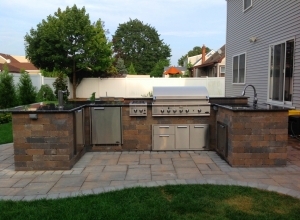 With our expertise and guidance, your completed hardscape will blend harmoniously with the beauty of your home and natural surroundings. 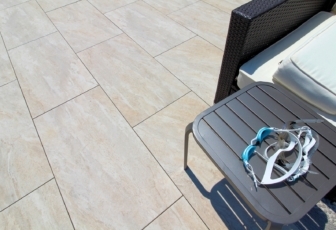 At Topaz, we never limit the scope to which homeowners can enjoy their outdoor space. 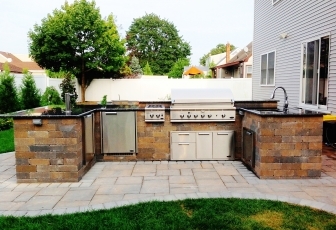 Installing an outdoor kitchen, bar, or fire feature will lead to a whole new realm of home comfort and entertainment. Nothing says summer fun more than a swimming pool! Whether you want to lounge poolside or take a dip and beat the heat, our pool designs and water features will transform your backyard into the ultimate getaway. About Topaz Design Group Using our passion to tell your home's story. At Topaz, we are just as excited about enhancing your home as you are. 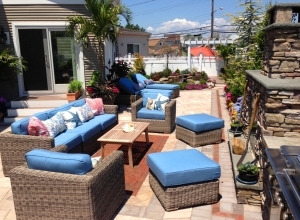 We are honored to design for you the outdoor living space that you have always dreamed of. Our team has been in the business for years. With our extensive experience, we possess the skillset and knowledge that is needed to create your ideal outdoor paradise. You have questions, and so you want to make sure that your investment is in good hands. From beginning to end, we will be there for you throughout the process to answer all your questions and to cultivate your comfort and trust. 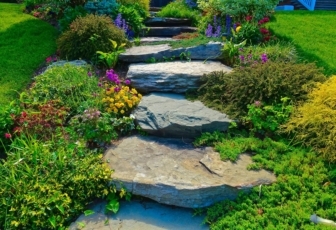 There are many different elements that go into creating an outdoor oasis. 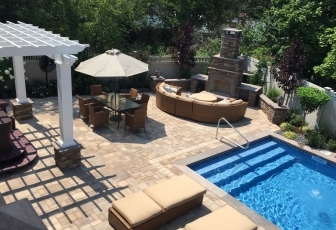 At Topaz, we take care of everything on the outside—from pool installations, to patios and outdoor kitchens, to outdoor fire features, and new landscapes. We do it all, and we do it right.